We know that looking great is important for a man but so is the freedom to determine your own style. 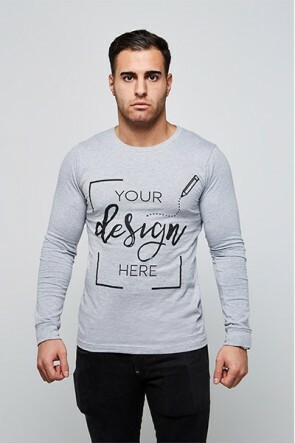 Thanks to our user-friendly customizer, you can easily make your own personalised t-shirt for men. Upload your favourite photo from either your phone or from a social media account. Adjust a few things, add text if you want, and your t-shirt will be ready to be produced and delivered. It's that simple! Our collection of personalised t-shirts for men offers a wide range of shirts, sizes and colours. 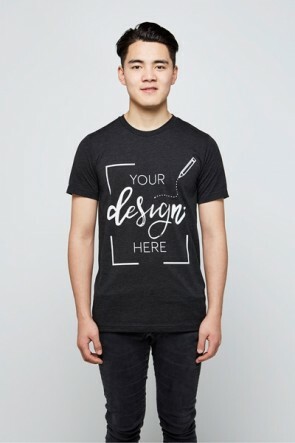 We offer classic round neck t-shirts that are very soft and perfect fitting and premium round neck t-shirts made of high-quality, soft tri-blend fabric, and a modern fit cut for men. We also offer long sleeve shirts to wear on colder days or for that 90’s look. What are you waiting for? 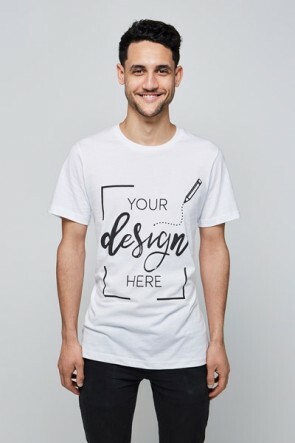 Design your own personalised t-shirt now. It's super easy!